baby back ribs in Bacolod City. 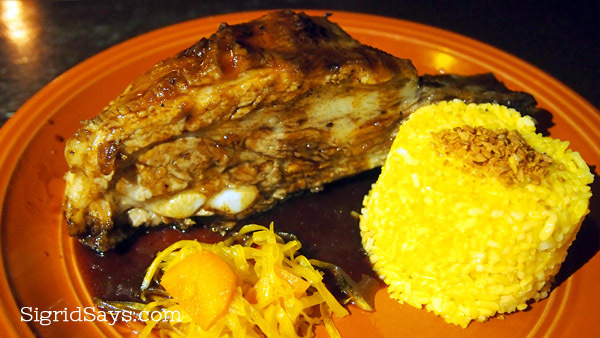 Lord Byron’s signature back ribs with barbecue sauce, yellow garlic rice, and atchara. 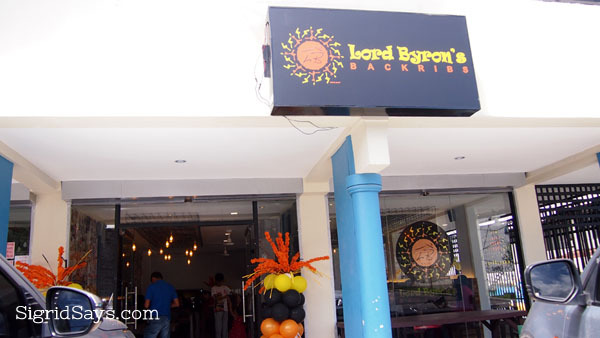 Lord Byron’s Back Ribs has built a name for their brand and for many years now as the first and the original–and they have also come to be known as the best baby back ribs in Bacolod. 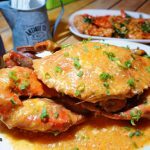 And it is not surprising because they serve a big slab of the juiciest and most flavorful ribs complemented with their yellow garlic rice. Perhaps the reason why they were able to maintain their quality over the years is the fact that they closely guard their system of operations and monitor their inventory. They strive to serve ribs fresh daily, not frozen. 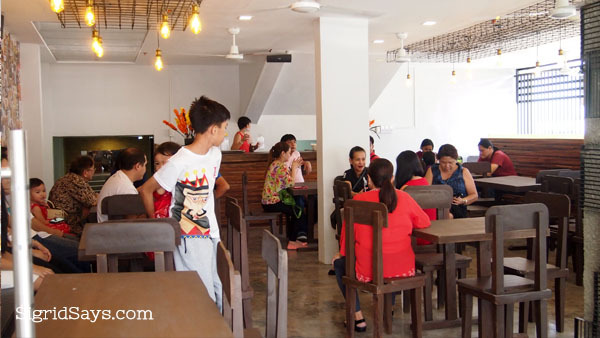 Even if they moved to their restaurant to Magsaysay Avenue (at the back of Luxur Place), it is still frequented by people who prefer their brand of ribs. The 2nd branch of Lord Byron’s Back Ribs opened yesterday, October 26. 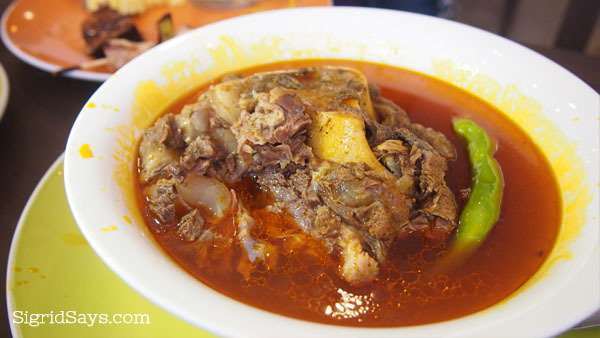 Kansi at Lord Byron’s Back Ribs–this sour soup can be your starters. 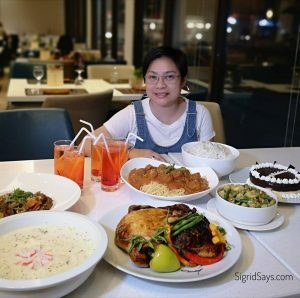 But now, diners will be happy to know that Lord Byron’s Back Ribs has a second branch, a bigger, better, and brighter place along San Agustin Drive, Bacolod City, just across from the side of Riverside Hospital. 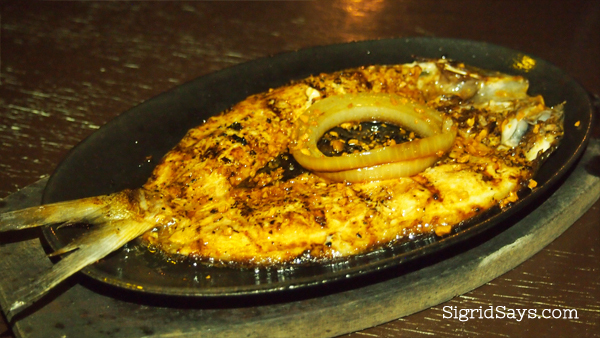 Open daily from 10:30am to 11pm, they still serve the same barbecued baby back ribs that they are known for plus more. 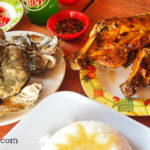 The have all-time Filipino favorites like kansi, sizzling sisig, sizzling bangus, cheeseburger, spareribs in wine sauce, kebabs, stuffed grilled squid, and many more. 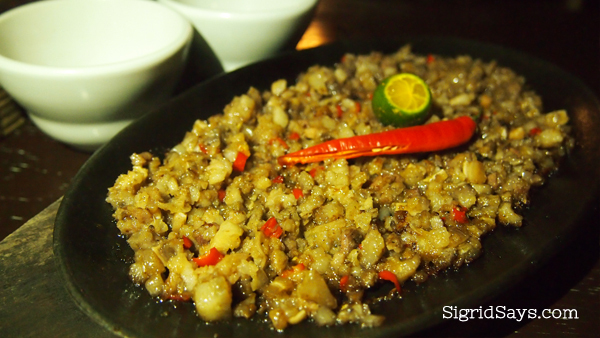 Sizzling pork sisig. Spicy hot! Function room for small gatherings. 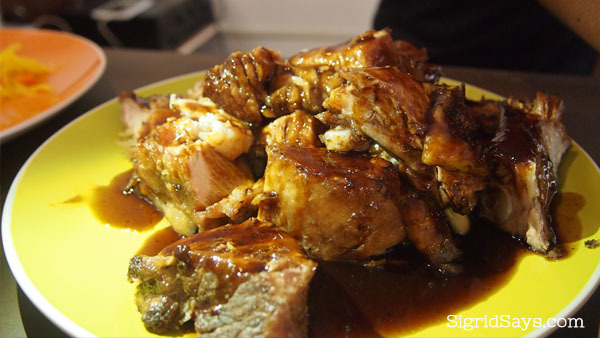 What makes the food at Lord Byron’s sooo good, aside from the baby back ribs, is the passion and dedication of the owner, LB Diola, to serve only the best and the freshest food to his clients. While he may not have formal training, but this guy can surely cook up a storm in the kitchen. 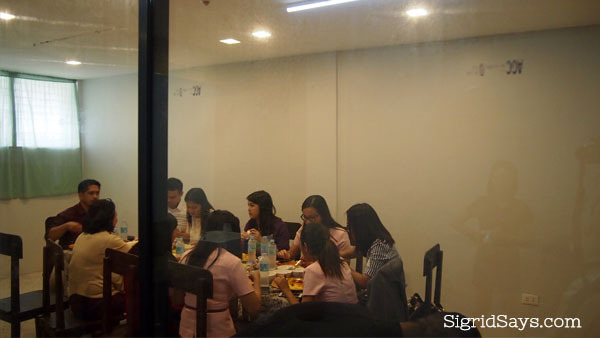 At the new branch, they have an air conditioned function room that can fit up to 20 pax. 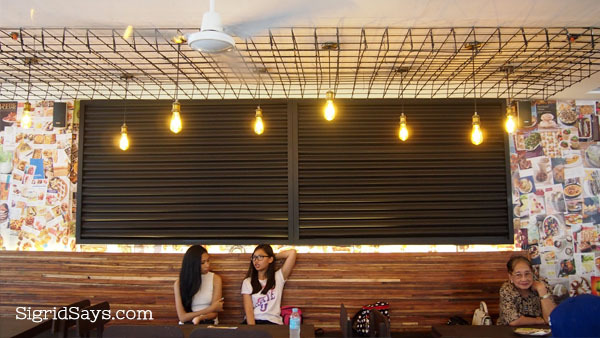 If it is not reserved for a function, you may dine here, too, so you get air conditioning. All orders for this area are charged an additional 10% on top of the bill. 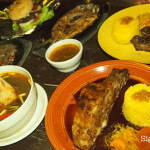 So if you get a hankering for the best baby back ribs in Bacolod, go to the original saucy and flavorful. Remember the name: Lord Byron’s Baby Back Ribs and where they are located. Lord Byron’s second branch has some eclectic urban design for their interior. So many tables and chairs to accommodate their wide customer base. Nothing beats the original gid!